Excitement is building for our participation next weekend, in association with The Artisan Group®, in an invitation-only luxury celebrity gift lounge hosted by GBK Productions. This is being held at an exclusive location in Beverly Hills, California, in honor of The 2014 Primetime Emmy Awards Nominees and Presenters. Our Chakra Balancing Pendant is made with gemstones especially for this event, and will be included in the swag bags that are given to all attending Celebrities. It is such an honor to be among these talented Artisans and represented at this event being held August 22-23, 2014. Take a look at the other artisan made gifts that will also be included in this Gift Bag by clicking on the interactive digital Gift Guide below. There are so many unique and wonderful items made by talented artisans. We are pleased to announce Bead Lovers Korner will paricipate in an invitation-only celebrity gift lounge in honor of The 2014 Golden Globes Nominees and Presenters. This wonderful opportunity, in association with The Artisan Group®, is an invitation-only luxury celebrity gift lounge hosted by GBK Productions on January 10-11, 2014 at an exclusive location in Beverly Hills, California. Our Sterling Silver and Swarovski Crystal Earrings will be gifted to select members of the press and media at The Artisan Group’s exhibit. This event will be attended by nearly fifty press and media outlets. These earrings are available on our website by special order and make really unique gifts for special occasions. We are pleased to announce Bead Lovers Korner, in association with The Artisan Group®, will participate in an invitation-only luxury celebrity gift lounge hosted by GBK Productions on September 20-21, 2013 at an exclusive location in Hollywood, California, in honor of the The 2013 Primetime Emmys Nominees and Presenters. Our Cherry Quartz Sterling Silver Earrings will be gifted to select members of the press and media at The Artisan Group’s exhibit, and all attending celebrities will receive our business cards in their swag bags. This event will be attended by nearly fifty media outlets. To learn more about Bead Lovers Korner and our products, or our participation in this exclusive event, visit Bead Lovers Korner or email sales@beadloverskorner.com. Bead Lovers Korner will introduce its handcrafted beaded jewelry to Hollywood and the international jet set with the inclusion of business cards in celebrity swag bags to be presented at GBK’s 2013 Cannes Film Festival Gift Lounge and to some of Hollywood’s most talked about Moms in a 2013 Mother’s Day Celebrity Gift Bag put together by The Artisan Group. 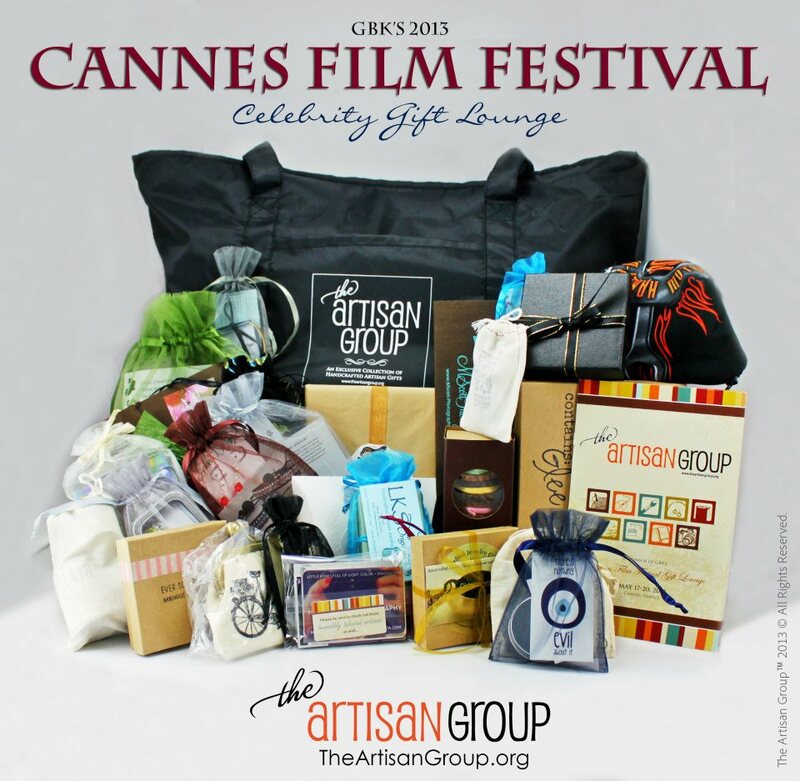 The GBK Gift Lounge for the Cannes Film Festival takes place May 17-20, 2013 in Cannes, France.